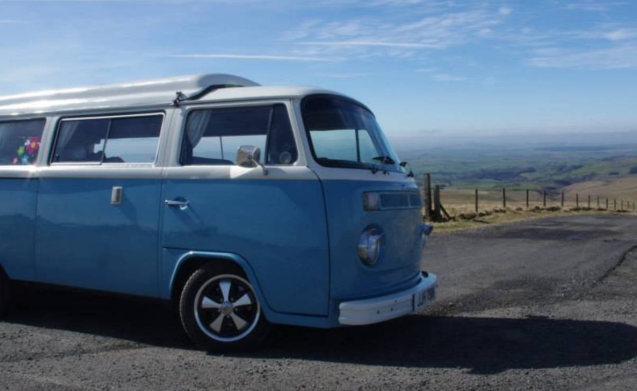 Our classic VW Campervan Skye is avalailable for hire. 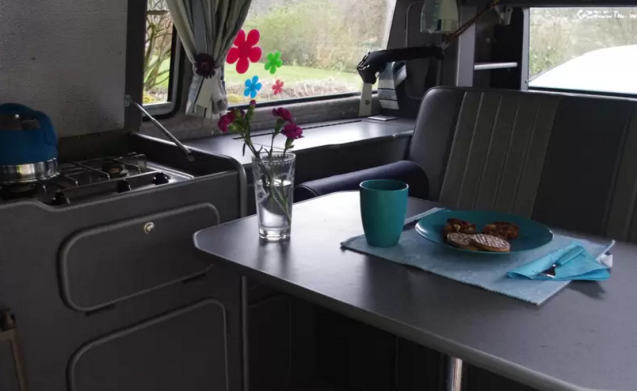 Ideally located for exploring Northumberland's Coast and Castle, or Hadrians Wall, the Lake District, Edinburgh or even further afield. Can sleep 4 inside (2 adults + small kids) and more in the awning if need be. 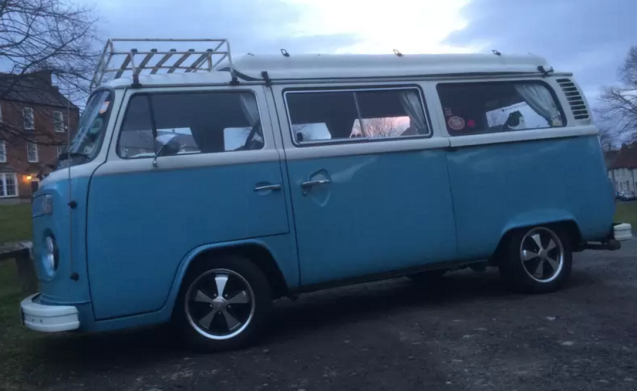 A classic 1975 VW T2 Campervan available to explore Northumberland. 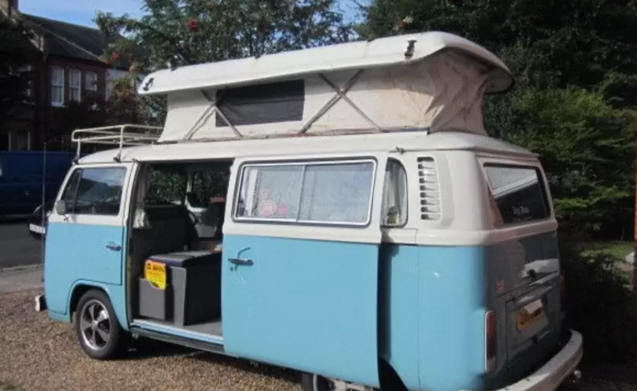 It has 3 point seatbelts front and rear and can sleep two adults on the 'rock and roll' 3/4 bed in the van, with a double space ideal for children in the Pop-Top. Take a look at our website (website hidden) for more details. 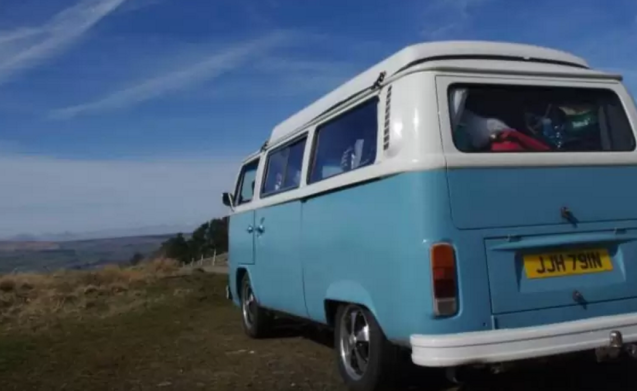 Skye has a gas job, grill and electric fridge and comes with awning, camp chairs, BBQ etc. We will need a security deposit before you travel, and site of your driving licence and 2 utility bills. All drivers eligible as long as no more than 6 points and ages 23-75. We ask that you bring her back clean and with a full tank of fuel. Anywhere the road takes you!